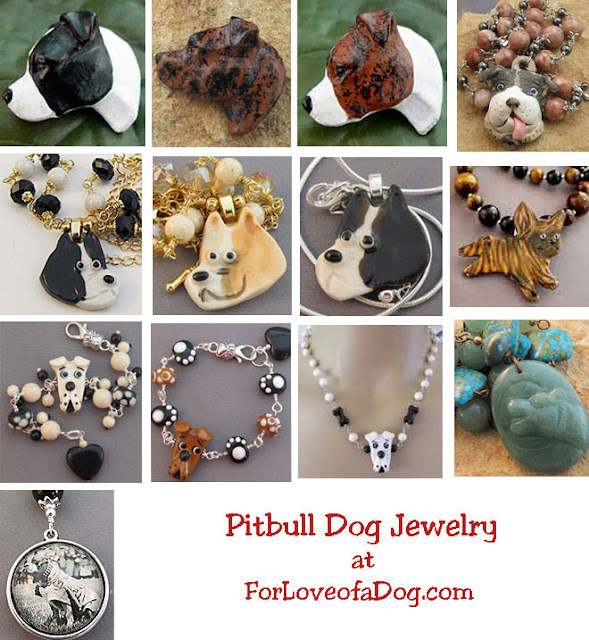 If you're playing secret Santa Claus for a dog lover whose favorite dog breed is Rottweiler or Pit Bull, then you really should check out my handmade dog breed jewelry at For Love of a Dog. Each piece is handmade by me in my Missouri Ozarks studio with my dogs Rudy and Rosie giving me plenty of inspiration. All of my jewelry is unique and one of a kind. And since I'm closing my For Love of a Dog business, quantities are truly limited! Shown at top are items available in my Pit Bull dog jewelry. As you can see, this dog breed is almost sold out! Currently available are 3 pins, 8 necklaces, and 2 bracelets. Each is on sale and comes with free standard shipping. 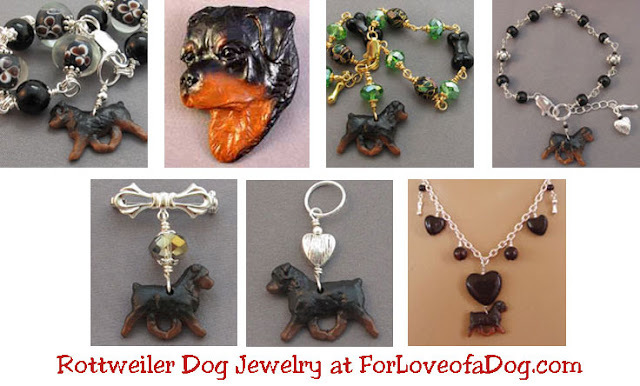 Rottweiler dog jewelry is even more limited in quantity! 3 bracelets, 2 pins, 1 pendant and 1 necklace are available right now. Shop For Love of a Dog Jewelry now for best selection and you'll know that your Christmas gifts are truly special and one of a kind.